There’s a meta-theatrical episode of the Comedy Central cartoon South Park wherein the characters labor under the frustration that the more-legendary cartoon The Simpsons has already made every joke available to make for a cartoon of crass adult themes. As the boys of South Park pursue different comedic plot-lines, their neighbors quickly interject “Simpsons did it!” with increasing rapidness until the episode unravels into frustrated absurdity. When I watch that episode, I imagine it must be a relateable one for the modern filmmaker. No matter how inventive the technique or fresh the storytelling device, it seems that every great thriller, suspense, mystery, or action movie lends itself to comparison to something that Alfred Hitchcock already trademarked. Over a career that spanned decades, that crossed and perfected and sometimes invented multiple genres and subgenres, Alfred Hitchcock made 53 films. Over time, he proved to be an expert storyteller, a precise craftsman, and as disciplined an artist to ever sit in the Director’s chair. Whether he is the greatest director ever is best left to opinion (my opinion is yes), but what is hardly subjective is the assertion that Hitchcock is the pioneer to the migration, the professor to the living historical classroom of film-making. Where other great directors are learned, Hitchcock was inventive, and many of the best modern filmmakers understand their position in his shadow. Hitchcock carried film further than any other singular contributor, and some of our most cherished contemporary directors benefit from his worn tracks and have continued to extend the path in the direction of Hitchcock’s vision. In Rope, Dial M for Murder, and (to a large degree) Rear Window, high tension psychological thrillers unfold in a single room setting. By cramping such weighted drama into such a confined area, allowed the already thick tension to simmer atop itself. But, while the claustrophobia inherent to the strict confines of the filming area heightened an anxiety that was already razor sharp, it also limited framing and filming techniques. In a tight space, there are only so many places to position a camera and only so far its operator can move back. Hitchcock’s films, perhaps more than any other, turned this limitation into an innovation. Hitchcock has been endlessly celebrated for his technique of close-in facial shots to more poignantly display emotion or fear, a very handy tool to have ready when working in the set the size of a studio apartment. In recent times, both of these principles, the singular set and the close facial shots, were extended to the farthest possible conclusion in Rodrigo Cortés’ 2010 thriller Buried. 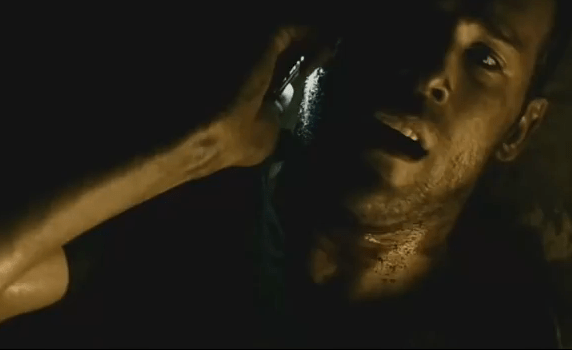 In the film, a U.S. contractor working in Iraq played by Ryan Reynolds, wakes up buried in a coffin. That’s it. That’s the whole story. The coffin, the tightest most claustrophobic space imaginable, is the setting for the entire movie. Cortés manufactured makeshift coffins, one with an open side, the other with a removed top to allow filming. In its tensest moments, the camera finds only Reynolds panicked face as he tries to subdue insanity to find survival logic, and that closeness of frame, combined with the best performance of Reynolds’ young career make Buried a perfect modern Hitchcock film. Historically, Hitchcock was one of those rare directors who worked on both sides of the talkie turning point and excelled after the transition. Perhaps this is the reason that he was a master of sound as a sub-language in his films. All of the iconic sequences–Psycho, North by Northwest, Vertigo—have an equally identifiable musical accompaniment, and this music is never placed for a reason as simple as providing score. Hitchcock quieted music when he wanted to create tension, dropped the music altogether when he wanted to create fear. He elevated the volume of ambient sound as a means of false comfort and a surefire sign of impending danger. Under the Skin, Jonathan Glazer’s eerie 2014 sci-fi thriller, is a film with as much calculative energy in its music as its stark imagery. The score moves from pulsating, to bass driven, to pure white noise, never at random, always with a sense of supplementing the dreadful narrative or shaping the audiences state of witness. The audio manipulation is most effective with the pulsing near silence when the hunting alien’s prey is underwater, suspended in animation, just before the unthinkable happens with a nightmarish muted jolt. Point of View (POV) editing offers a plethora of imposed impressions. Because the sharing of a character’s perspective removes his/her face from the performance, point of view can be used either to establish emotional distance from a character or to witness a main character through the eyes of a stranger (the over the newspaper view of the train passenger in 39 Steps). POV can also be used to give full intimate and sympathetic access to a character, whether welcome or not (think Norman’s view of the car as it starts to sink). Or, if the screen switches from facial shot to POV, it becomes a spinning coin of what is witnessed and the subsequent emotional response (Rear Window‘s voyeurism). Today’s over-saturated market of found footage films are riddled with what boils down to an obsessively perverted manifestation of this simple film principle. At their best, found footage movies allow for a level of interpersonal relationship between the character and the audience that is untouchable by the observant narrative camera. 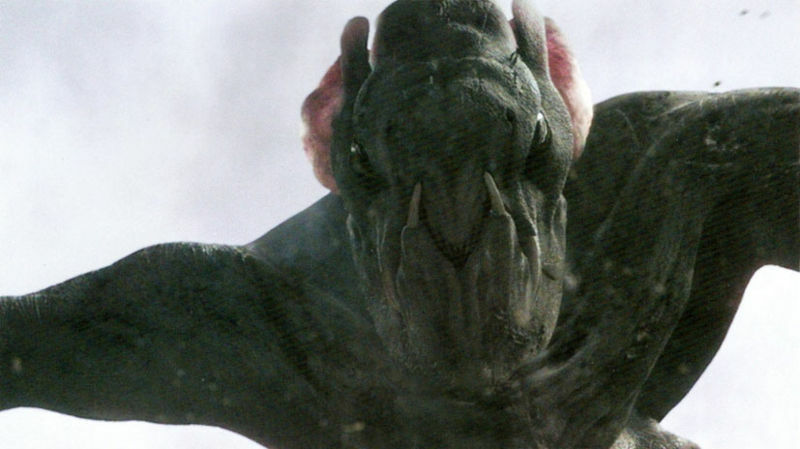 Matt Reeves’ 2008 monster film Cloverfield provides a perfect example of this shared body space between character and viewer. The cameraman’s position within the film allows the viewer to directly attend a 20-something’s party before enjoying a virtual terror experience by witnessing, in film’s version of firsthand, the all-too-real terror of an attack in New York City. What makes Uncle Charlie so creepy in Shadow of a Doubt (besides murderous tendencies, a sickening cynicism, and getting away with it all) is his positioning against the backdrop of a Norman Rockwell-like America. That juxtaposition of serial killer against the idyllic middle class community is an early iteration of the developed seedy underbelly that would present itself in Blue Velvet. When Park Chan-Wook introduced himself to American audiences, he fearlessly embraced Hitchcock comparisons by presenting a second cinematic Uncle Charlie who arrives in similar circumstances as the first. The same contrast applies: the well-to-do neighborhood and the outsider with questionable intent. But the slowburn knife twist of the Chan-Wook’s film moving somewhere wholly different than its bluntly advertised inspiration might be the most Hitchcockian move of all. Denis Villenueve shot Enemy and Prisoners in the same short stretch, and if you judged by the product, you’d think he had ransacked Hitchcock’s private office for notes right before production. Prisoners uses a character’s song, Alex Jones’s whistling of the modified Jingle Bells, as a functional MacGuffin much to the same effect of Doris Day singing “Que Sera Sera” in The Man Who Knew Too Much. And, perhaps the most Hitchcock-like of all the comparisons, Enemy places two beautiful blonde women (a Hitchcock favorite [or perhaps least favorite, depending on how you look at it]) in the middle of a puzzle being wrestled by two demanding men, the outcome of which lends to all sorts of questions about identity, an event and theme that demands immediate comparison to Vertigo. And Villenueve chooses to end both films with a closeup shot of the still but emotionally loud face of his already-reliable leading man Jake Gyllenhaal. In perhaps the most iconic action sequence on Hitchcock’s resume, North by Northwest offers a scene in which Roger Thornhill (played by Cary Grant) is pursued by a crop-duster plane with intent to see him murdered. Where less ambitious production might have used quick cuts, darker skies, hard close-ins, Hitchcock opens the view into a flat field with clear skies and sunshine, a full wide open frame of the intended victim and the helpless, level geographic landscape around him. The camera holds low, points upward, catching the plane approaching from behind. The effect is one of ironic claustrophobia, a vision of helplessness that makes the heart race. This same claustrophobic use of wide open space was directly recalled in the 1995 David Fincher serial killer drama Seven. When Detective David Mills (Brad Pitt) is left alone with killer John Doe (Kevin Spacey), they are left occupying a vast, flat emptiness. We discover, in time, what’s in the box, a figurative bomb from which Mills has nowhere to escape, and the weight of all of that level nothing weighs hard on the viewers chest, Doe’s impending confession swooping in like Thornhill’s crop duster. Where Fincher played homage, Alfonso Cuarón carried the traditional into the future, dropping the literal bottom out of the equation. At least Thornhill and Mills had a ground. Gravity‘s Ryan Stone spends the film in an open space, zero gravity free fall, in a vacuum of silence, stalked by a mindless killer. These elements, along with the chest tightening vastness of empty openness, combine to make Gravity the perfect example of where preserved Hitchcockian influence will take us in the future.